We have all suffered that moment of panic when your child is lost from view – the calling, running, searching panic ensues. Disney World is massive quite crowded place that everywhere you turn, there are Disney characters, delicious treats and rides that beckon to your little one. What happens if they wander off, disregarding your telling them not to do so? What do you do if you turn around and they’re gone? We’ve included some helpful tips to help to prevent being separated from your child and what to do if your child gets lost. 2. A stroller is perfect for corralling a small child. Put a distinctive ribbon on your stroller so it will not also be lost! 3. Dress your child in something distinctive (a Disney costume is just one in a million) . Take a picture each day as clothing is the best way to identify a missing child. 4. Put some appropriate ID (yours and theirs) in a pocket, a tag on a lanyard around the neck, or pinned on a jacket. Cell phone numbers would be useful. This will also ID you to the cast member who returns your child. 5. Be vigilant and put one adult in charge of watching and holding hands with one child. This is where it’s a good idea to bring grandparents or travel with friends. 6. Where there are multiple older children, institute the buddy system. 7. Give older children THE MEET spot for regrouping. Be specific. Use Post It in pocket or notes on smart phone for the forgetful ones. 8. Cell phones are great for locating children if there is no dead zone or dead phone. If using an iPhone, download and use the “Find Friends App.” You’ll be able to see where you and they are on a map. 9. Some families use walkie-talkies that have a range that covers the entire Disney Resort. Keep spare batteries in your park bag. 10. 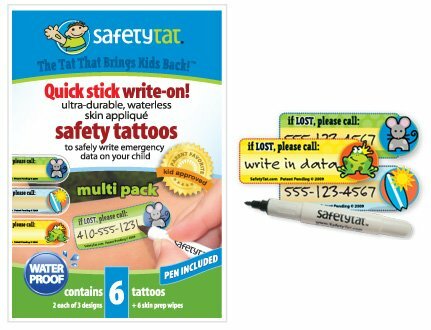 After dark, glow sticks or other glowing item might help you find your child in a crowd. 11. When you first enter the park, walk up to a cast Member and show your child the name tag and person to go to and say, “I am lost.” Also tell your child to go to a ride or into a store where there is sure to be a bona fide Cast Member. 12. 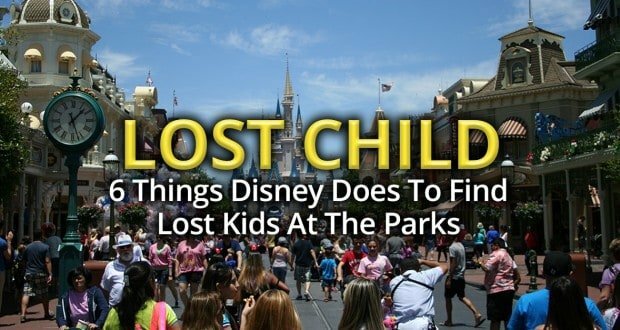 Parents should also go to the nearest Cast Member or the nearest Baby Care Center to report a lost child. This is where information is shared with other Cast Members in the area across the park. 13. Be aware when a ride or restroom has alternate exits. If your child went in one door, they might exit in a different location. 14. If your child is lost, split up if possible; have a parent or teen stay in the spot where you last saw your child, while the other looks around. 15. Notify the nearest cast member to let them know you have a lost child, that way a team of Disney employees can begin to look as well. 16. Establish a designated meeting place in the park and go check to see if your child is there. 17. If your child is small, look for the closest attraction, character or display of interest; in some cases, they may have simply stepped behind a display to get a closer look. 18. Caution your child not to exit the park (go past security) with anyone, even someone they think is a Cast Member. Also, warn them never to go anywhere alone with anyone even a Cast Member. Disney trains its’ employees to stay in the open around other people when escorting a lost child. While we don’t like to think that a Cast Member would ever do a child harm, it’s good not to be too trusting. What happens the moment you or your child reports they’re lost to a Cast Member? 1. As soon as a parent or child reports being lost to a Cast Member, a call is made to “Lost Child,” the centralized security system designed to reunite parents and kids who are lost. The Cast Member checks to see if the child has turned up. If not, a report is filed with the child’s description. 2. Then a call is made to a central location spreading the word throughout the area where the child was last seen. 3. Every ride operator and all available employees then begin looking for the missing child. 4. If a Cast Member is approached by your child who is lost, the Cast Member stays with the child until you are both reunited. Cast Members are trained to calm lost children and retrace their steps to attempt to find parents quickly. 5. If parents cannot be found in the immediate area, the child is then escorted by original Cast Member to the “Lost Child Room” which is an inviting, fun place staffed with professional child care workers and stocked with Disney movies. 6. Once you’ve received notice as a parent from your particular Cast Member that your child has been found, you can be reunited with them at the Lost Child area. This is where identification containing your and your child’s information can come in handy to help prove that you are your child’s parent. Where are the Lost Child Rooms Located? Magic Kingdom – right next to the First Aid Center on Main Street on the left walking towards Cinderella’s Castle. Animal Kingdom – located on the way to Africa – on the left-hand side just past Pizzafari restaurant and before the bridge. EPCOT – located in the Odyssey Center between Test Track and the Showcase Plaza. Hollywood Studios – located on the left as you enter the park via the main entrance.